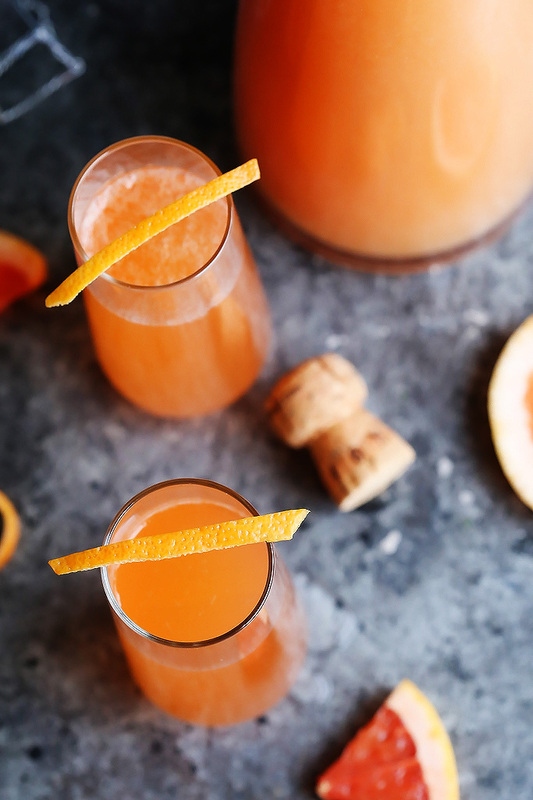 These Grapefruit Aperol Sparkling Cocktails are perfect for brunch or sipping on the patio. 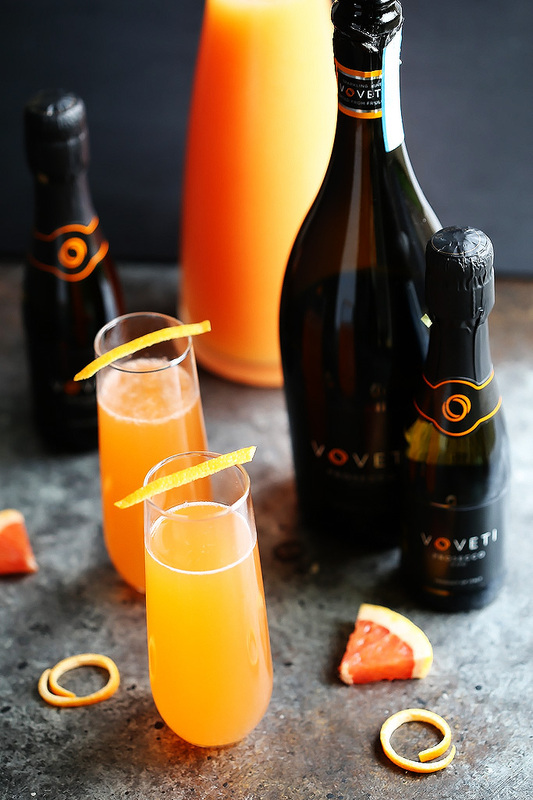 Prosecco, grapefruit and aperol combine in this bubbly cocktail. 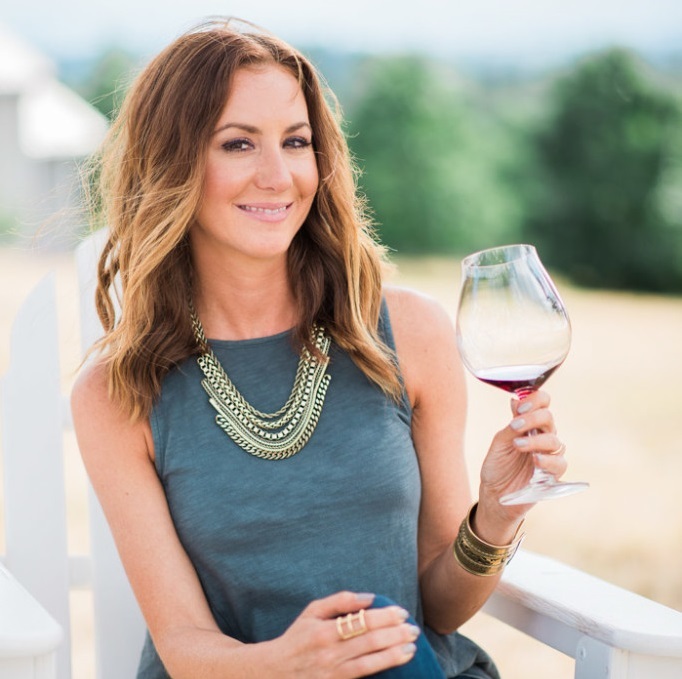 For me, summer is all about easy – Slowing things down a bit and just taking some time to enjoy the warm weather and sunshine. Long, leisurely afternoons on the patio with a few good magazines or barbeques with friends. Either way, summer cocktails are in order – And they should follow that summer simplicity theme too. These Grapefruit Aperol Sparkling Cocktails are just that – With just three ingredients you can fix and fun and festive cocktail that’s icy cold and refreshing with a pop of bubbles and tangy grapefruit juice. The addition of aperol gives this cocktail a nice herbal backbone and just a hint of bitterness. It pairs really nicely with that grapefruit juice and gives this cocktail a wonderful bright pink color. Prosecco is what gives this cocktail its great sparkle. It’s fine, persistent bubbles carry with it notes of ripe peach, melon and apple, mingling perfectly with the grapefruit and aperol. And, to finish things off, just a simple slice of grapefruit zest. Be sure to squeeze it into your glass to release all those fragrant citrus oils. Between the Italian Prosecco and the aperol (an Italian aperitif), these cocktails are definitely getting me ready for our trip to northern Italy this summer. I’ve even got Rick hooked on these sparkling cocktails. Even though “bubbly” cocktails are sometimes considered a bit more “for the girls”, I‘ve found that guys love this sparkling cocktail too. I’d account that to the fact that this isn’t an overly sweet cocktail. Instead, it’s got some integrity to it – A bit bitter, a bit herbaceous, and definitely easy to drink! 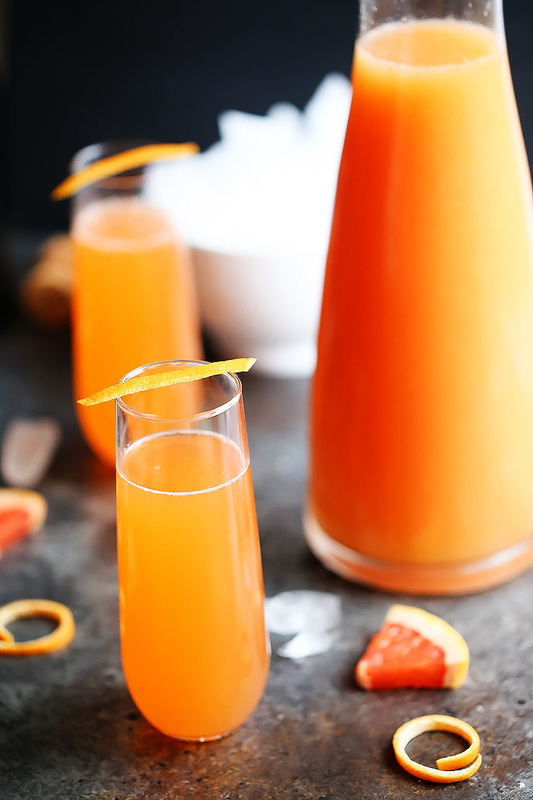 These Grapefruit Aperol Sparkling Cocktails would be perfect for a date night with your significant other, or as a fun twist on the traditional mimosa if you’re hosting a brunch with girlfriends. Do you have a favorite summer cocktail that you like to enjoy at home? I’d love to hear in the comments below! Combine all ingredients in a large glass and stir gently to combine. Divide between two champagne flutes. Enjoy! Sounds like a delicious addition to brunch, and different than a typical orange flavored mimosa! Beautiful! I was just telling my daughter today that I am not a fan of grapefruit… but the caveat that I did not mention to her is that I DO love it in sparkling cocktails! ;)These look fabulous. Cheers! Well then these are just perfect for you Marlynn – Cheers! These sound delicious! They would be perfect for Mother’s Day or a bridal shower!